Ashram Founder Shri Brahmananda Sarasvati, also known as Ramamurti S. Mishra, M.D., was a highly respected spiritual teacher for countless students and devotees from all walks of life. A prolific author on the science and philosophy of Yoga-Vedanta, he combined the universal message of these teachings with his deep knowledge of both Eastern and Western medicine and psychology. His areas of specialty ranged from Ayurveda to modern psychiatry and neurosurgery. 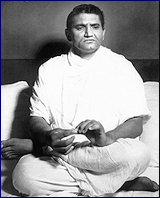 Shri Brahmananda Sarasvati is the Founder and Spiritual Director of the Yoga Society of New York, Inc. (1958) and its country center Ananda Ashram (1964). 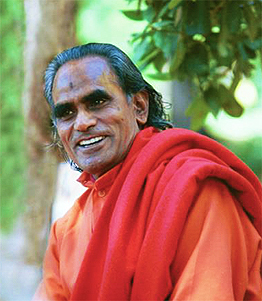 He also established the Yoga Society of San Francisco, Inc. (1972), known as Brahmananda Ashram, and inspired several other centers of meditation in the United States and abroad. He was a master of the Sanskrit language, and his lifework can be considered a comprehensive and authentic modern synthesis of the ancient teachings. His written works include Fundamentals of Yoga, The Textbook of Yoga Psychology (a commentary on Patanjali's Yoga Sūtras), Self Analysis and Self Knowledge (on Shankaracharya's Ātma Bodha), translations of Upanishads and other ancient Sanskrit texts, as well as numerous essays and stories. In addition, much of his teaching exists in recorded form. His life was dedicated to the integration of Eastern and Western sciences, culture and philosophy, and he presented the timeless message of meditation and Self-realization in a truly contemporary form. Shri Brahmananda Sarasvati left his physical body in 1993, yet his spiritual presence and teachings continue to be a source of inspiration and guidance for all. As a pioneer who prepared the ground in the West for a new way of thinking and living, he planted the seeds of Self-knowledge in the hearts of many people the world over. These seeds continue to grow and are destined to help bring about the ultimate goal of world peace and harmony in spiritual unity. 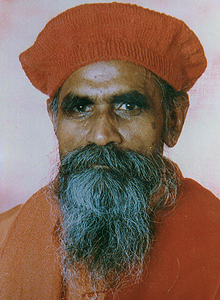 The Baba Bhagavandas Publication Trust was established by Shri Brahmananda Sarasvati in 1992 and named in honor of his main Guru, Baba Bhagavandas of Bombay, India. Its principal purpose is the protection, preservation and continuing publication of the founder's life work, both written and recorded, as well as the promotion of other works that emphasize the oneness and freedom of Consciousness or "I-Am."